Shuttlers Ajay Jayaram and Sourabh Verma will look to make a mark when they spearhead India's challenge at the Chinese Taipei World Tour Super 300 tournament starting here on Tuesday. Shuttlers Ajay Jayaram and Sourabh Verma will look to make a mark when they spearhead India's challenge at the Chinese Taipei World Tour Super 300 tournament starting here on Tuesday.With two Super 750 world tour events -- Denmark Open (Oct 16-21) and French Open (Oct 23-28) scheduled this month, the top Indian shuttlers including P V Sindhu and Kidambi Srikanth have decided to skip the USD 500,000 event this week. In their absence, former world no 13 Jayaram and former national champion Sourabh will look to keep the tricolour flying when they begin their campaign in the men's singles competition here. Jayaram, who had reached the finals of USD 75,000 Vietnam Open and USD 25,000 White Nights on his comeback after recovering from a hamstring injury, will look to overcome the first round exits in the last couple of tournaments when he faces Japan's Hashiru Shimono. World No 65 Sourabh, who had won the USD 75,000 Russian Open in July and had qualified for the Indian team at 18th Asian Games after recovering from injury, will take on local favourite Lee Chia Hao. Among others, Rahul Yadav Chittaboina, who has won two international challenge at Lagos and Mauritius so far in his career, will meet Taiwanese Lu Chia Hung, while Abhishek Yeligar will have the difficult task of upsetting experienced Jan'O Jorgensen, seeded fifth. In women's singles, Sai Uttejitha Rao Chukka will meet Chinese Taipei's Chiang Ying Li, Mugdha Agrey will play seventh seed Soniia Cheah and Sri Krishna Priya Kudaravalli squares off against another local player Lin Ying Chun. 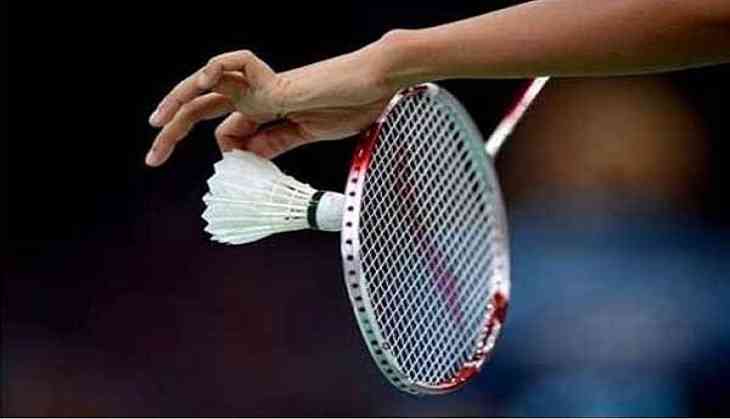 India's Tarun Kona and Malaysia's Lim Khim Wah will take on fourth seed Malaysian Ong Yew Sin and Teo Ee Yi in men's doubles, while there is no Indian participation in mixed and women's doubles competitions.